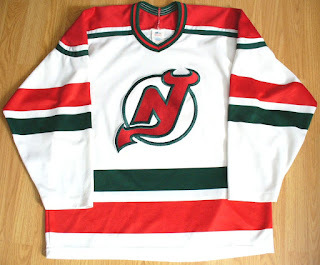 The white jersey is double knit material. Originally had a different number and a crest on front. 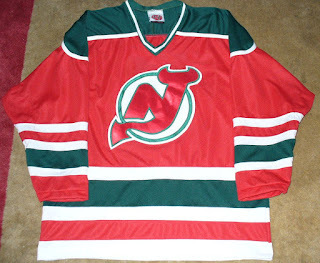 Had a devils crest that I sewed on. More on the numbers and name bar later. 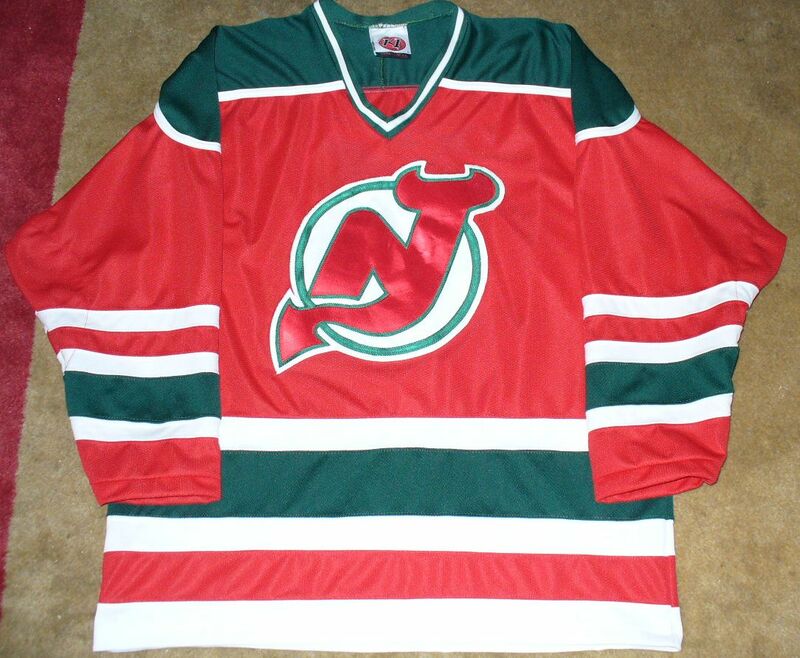 Bought a K1 brand red devils jersey - likely on Ebay. Made up name bar and numbers for this one also. All numbers, name, and name bar done in tackle twill. For letters I used and slightly modified Florida's font in the NHL fonts I had previously downloaded. 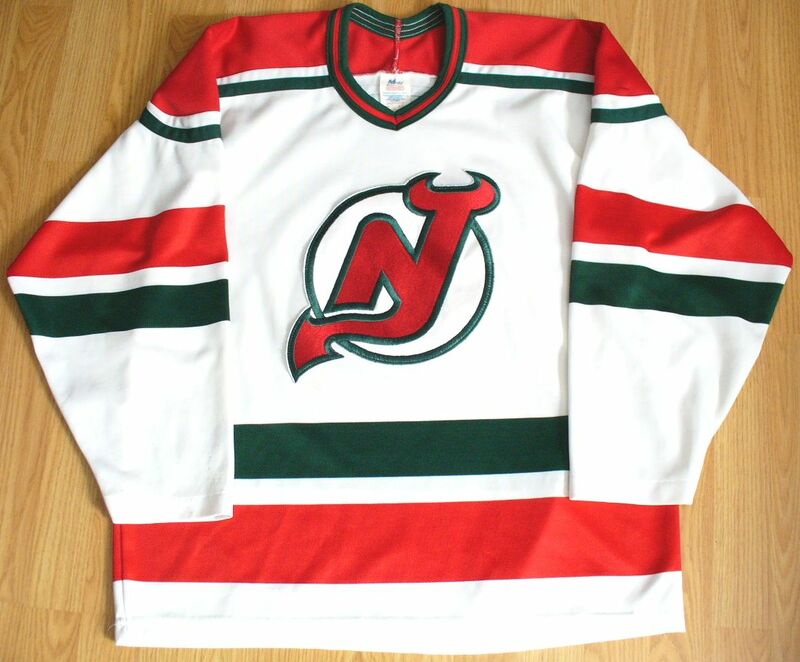 For the numbers I used a pic of a Devils game worn jersey, cropped and printed out the number, cleaned it up, and guessed at the sizing for a template. 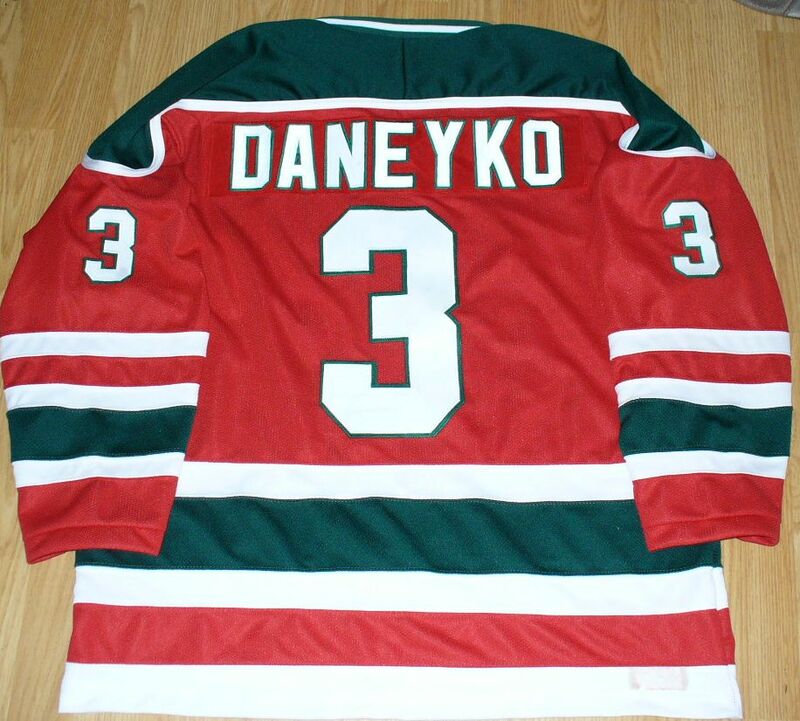 Why Daneyko you may ask? Who else would a defensive defenceman with limited offensive skills pick to put on a Devils jersey. 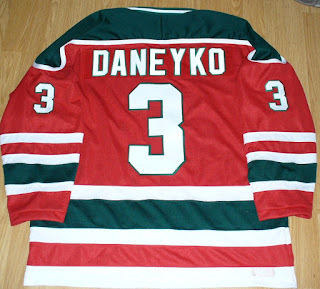 Besides, who doesn't like Ken Daneyko? Was one of my favourite players.